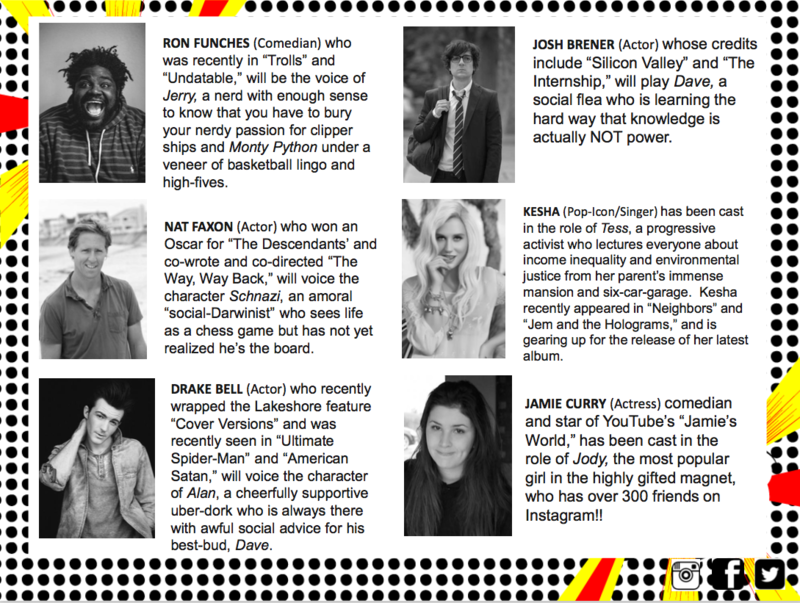 A series of animated shorts with Maker Studio based on their socially-challenged high school years and starring comedian Ron Funches, Josh Brener of “Silicon Valley,” Oscar-winner Nat Faxon, and pop-icon Kesha. 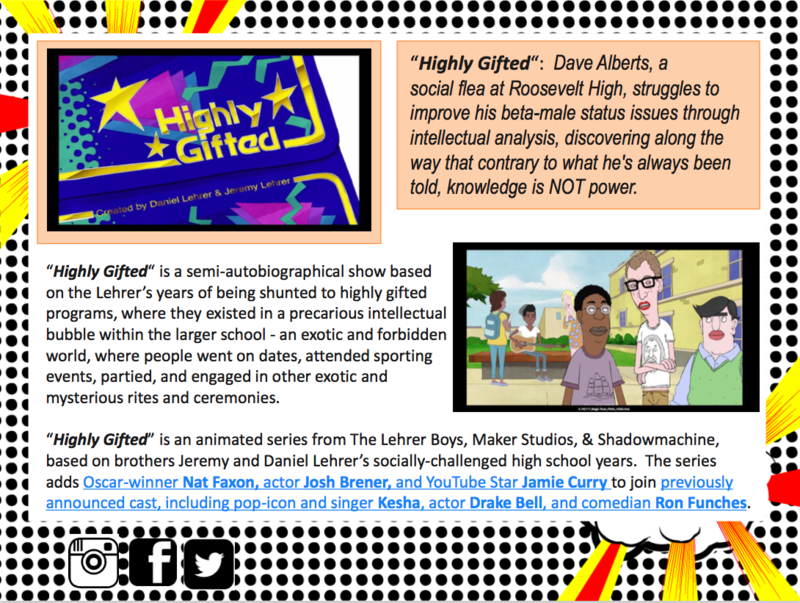 Daniel and Jeremy Lehrer are identical twin cartoonists and comedy writers. They grew up in a large extended family in Los Angeles where the emphasis was on academic excellence, classical music, fine art, and other activities designed not to get them laid. 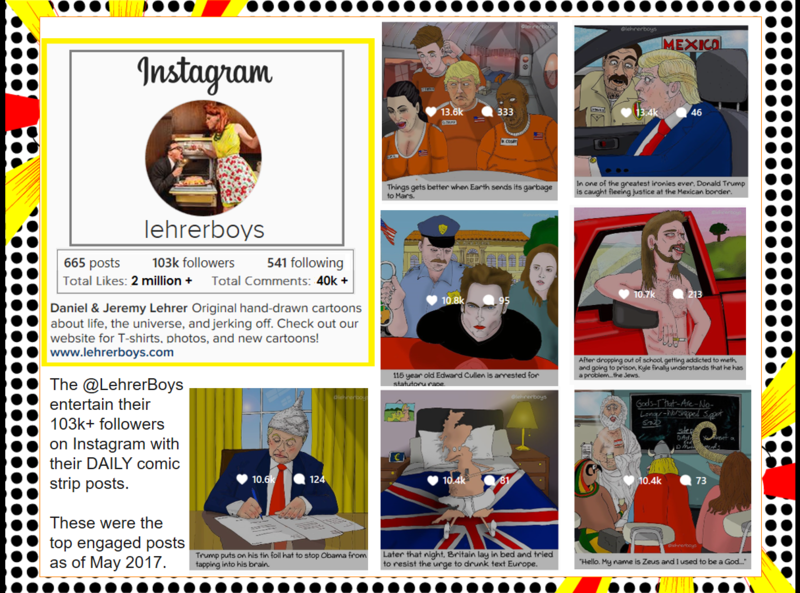 @lehrerboys, Daniel and Jeremy’s Instagram account, is inspired by their horrible childhood fights over the Sunday Funnies and who got to read “The Far Side” first.